If Obama settles one lawsuit before he leaves office he could stop Trump wrecking our planet. And here’s the kicker -- it’s a case brought by 21 children! 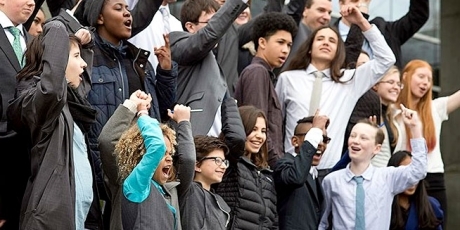 Yup, a US court just ruled that 21 kids have the right to a safe climate. And if one million of us back them now, their lawyer says she'll bring the kids to Washington to directly call on Obama to settle the case. Then Trump will be legally forced to rein in the fossil fuel industry! No one knows what Trump will do when he comes to office, but he’s said he doesn’t believe in climate change, he would "cancel" the Paris climate deal, and his closest allies are in bed with Big Oil. 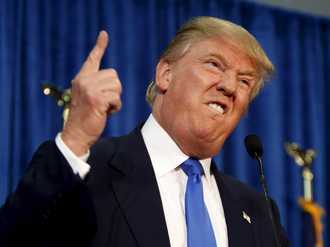 Governments and scientists are scrambling to persuade him to keep the US on track, but none of them can force him to. This case can -- if Obama settles this lawsuit now Trump will be legally bound to it, and even if he challenges the court order, it'll take years to overturn. Obama wants to Trump-proof his climate legacy. Let’s urgently build a massive global movement behind these kids, and get our call on the front pages so Obama knows the whole world cares. We campaigned for years to get a global climate agreement that will take our world to 100% clean energy, and save us from catastrophe. President Obama wants that agreement to thrive. And these incredible kids could actually be our best chance, and hold all our futures, in their hands. Let’s back them, fast!